The less you understand, all things you thought you'd figured out, you have to learn again. I hope it is legit because honestly I cannot wait any longer..
Any chances it will contain all three cuts, just as this year's set for The New World did? Maybe even Malick's version of Jurassic Park. I hope there's a Pennless cut! Jeff wrote: I hope there's a Pennless cut! Even Sean Penn wasn't sure why he was cast in the movie. Are the extras on the French disc substantial? pzadvance wrote: Are the extras on the French disc substantial? There is the same 30 min Exploring The Tree of Life featurette, but also a 22 min ITW with Desplat, 25 min with Michel Ciment and 18 min with Yvonne Baby. Michel Ciment has produced one of the longest written ITW ever with Malick and Baby knows Malick personally through her husband (who seems to know directly Malick). DVDCompare states the additional interviews are in French, with no English subtitle options, is that correct? PfR73 wrote: DVDCompare states the additional interviews are in French, with no English subtitle options, is that correct? I would need to check to be 100% sure but I think this is correct. Traveled up to New York yesterday to see this with live accompaniment at the Brooklyn Academy of Music. Truly wonderful. All the music (both diegetic and non-diegetic) was performed live except for the brief usages of Desplat's score (which I think amounts to about 2 minutes total in the film); apparently Desplat requested that they not perform his music live and instead use the recording. a 3 legged dog and young Jack and what it teaches him. I hope the dog gets his own voice-over. In October, I went to a screening in NJ where Malick was in attendance. Afterwards, I had a walk and talk with him on the street. I asked about a Criterion version of Tree of Life, and he told me the same thing... this coming summer. dex14 wrote: In October, I went to a screening in NJ where Malick was in attendance. Afterwards, I had a walk and talk with him on the street. I asked about a Criterion version of Tree of Life, and he told me the same thing... this coming summer. Its perhaps just my overactive imagination but I kind of hope that Malick did a grandiolquent hand gesture to the skies as he whispered in awe "This coming summer! When the planets have revolved around the solar system into a new conjunction that causes the leaves on the trees to come fully into bloom and the cycle of life to reach its apex, thens't willt my Brad Pitt dino movie finally get the Blu-ray edition it deserves!" EDIT: And then over that scene we can layer a distracted voiceover: "Did I mean what I said?.... Had I even told the people at Criterion to start work on the film?...I think I might have, a couple of years ago? ?...Only time will tell, but for now at least everything was happy and covered in a wonderful golden glow of anticipation"
And then, suddenly, some random classical music was playing very loud. I imagine this conversation happened 30 to 40 minutes before sunset. He was very nice and soft spoken. After the screening and Q&A... he hung around for a bit talking to people in the theatre. I followed him and his wife (plus theatre staff and Princeton security) out. On the street, I just walked up to him and asked him some questions. We walked and talked down the streets of Princeton, NJ. A nice and crisp fall night. Lit by the streetlamps. He was very forthright about answer regarding the Criterion. He thought the process was interesting and liked have time in between releasing and going back so he could have time to reflect on it. 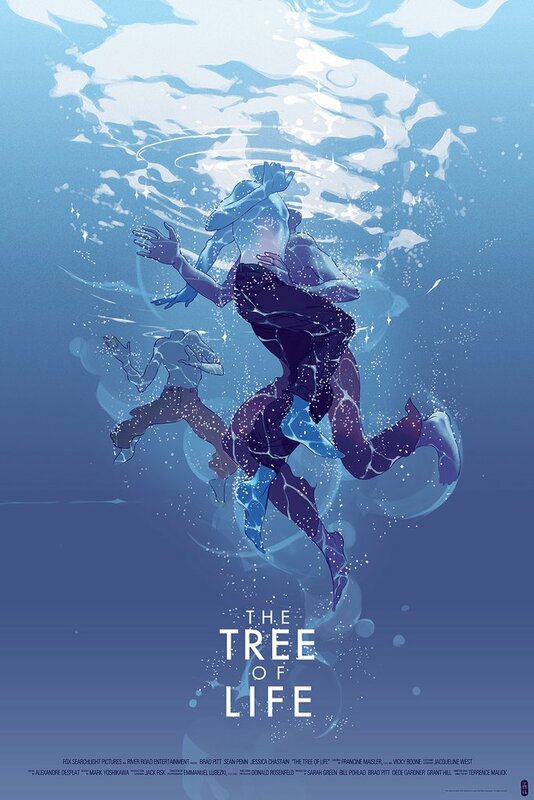 Minkin wrote: I remember reading that Tree of Life was supposed to be a July title. I suppose Malick put things on hold. ...or it was never in the hopper. I don't think there is enough to suggest in this thread that The Tree of Life is forthcoming. I waded through the One Big Soul Facebook page (as much as I love Malick, that endeavor was more a descent into a sort of antizone) and its unsurprising cult of personality fodder. Two posters in this thread have claimed it is coming: "Malickite"---registered in December 2016---who claims to have heard it from Paul Maher, editor of a Malick oral history, whose veracity is questionable given his lack of access to Malick outside the anecdotal. (There is nothing on Maher's Facebook page regarding a Criterion edition, so presumably Malickite messaged him or is him.) And "dex14," who met him at a Princeton screening in October. The film may or may not be coming from Criterion and the New Year's Clue may or not be strictly for Good Morning. Last edited by Omensetter on Fri May 19, 2017 11:42 pm, edited 1 time in total.